The Cambridge family was growing, Catherine and William welcomed their first child Prince George in 2013 and enjoying the first time parenthood. They were nervous, they were worried but they were excited and happy also. The family was looking forward to the milestones of their eldest child’s life in 2014. It started with a first family vacation in Mustique. Catherine joined the Middleton family with Prince George for their annual holiday on the Caribbean island of Mustique, that also marked George’s first overseas visit. Catherine’s first official appearance of 2014 was a visit to National Portrait Gallery in London to attend the Portrait Gala on February 11. Duchess wore ink-blue Jenny Packham gown paired with Cartier necklace gifted to Princess Elizabeth by Nizam of India, Art Deco earrings and Jimmy Choo Cosmic Pumps. Embed from Getty ImagesAt the end of February, Catherine became God-mother of Henry, son of old friends of Catherine and William Oliver and Mel Baker. Oliver is also Prince George’s God Father. To mark the mother day, a beautiful portrait of Cambridge Family was released. In the picture that was taken at the window of Apartment 1A, Kensington Palace by Jason Bell, Catherine is seen holding cute chubby cheeks George while William is holding Lupo. Catherine was wearing her Temperley London Rodeo Blouse in the official portrait. In the April 2014, Catherine undertook her first foreign tour as a Mother. The family of three embarked on a royal tour to Australia and New Zealand from April 16 to 25. It was another first for Catherine . She never visited either country before the tour apart from a short stay in Australia during her 2012 tour. 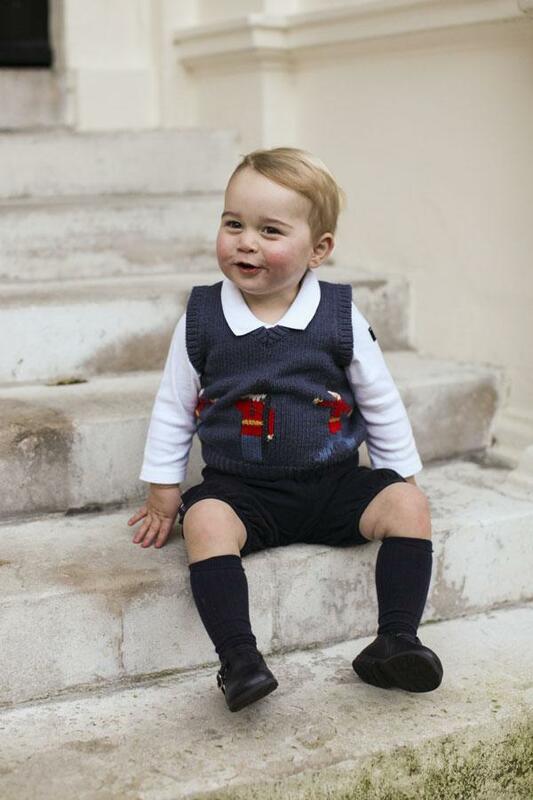 The tour also marked the first public appearance of Prince George since his birth in July 2013. A look at Duchess’s wardrobe during Australia and New Zealand Tour. In June 2014, Catherine headed to Normandy France with Royal Family to mark the 70th anniversary of D-Day. 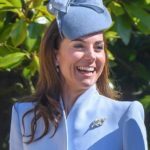 Duchess chose to recycle cornflower blue Alexander McQueen belted coat from her New Zealand tour wardrobe paired with ‘Salsa’ fascinator from Lock & Co, Sapphire and Diamond earrings and Suede black pumps and carried Mulberry Bayswater Clutch. Same month, we saw Prince George making his polo debut. Duchess brought almost 1 year old George to support William on Father’s Day at a polo match at Cirencester Polo Club. Catherine was a chic mother in Me+Em her Breton Top, J Brand blue skinny jeans and Sebago Bala boat shoes paired with Cartier watch and Givenchy ‘Obsedia’ sunglasses. 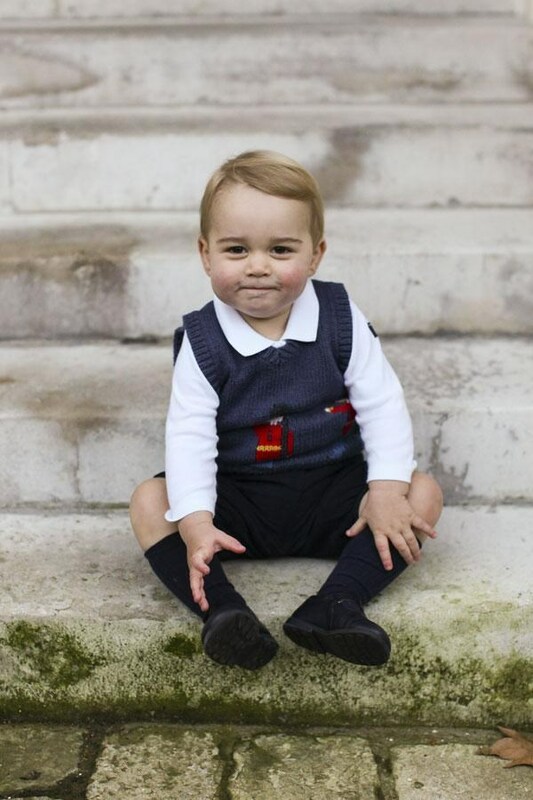 In July, Palace released the portrait to mark the first birthday of Prince George. The photos were taken by Press Association photographer John Stillwell at the Natural History Museum’s ‘Sensational Butterflies’ exhibition. Catherine was wearing Suzannah Budding Heart Silk Tea Dress with Annoushka pearls. Catherine attended the events of Commonwealth Games in Scotland in the same month. Catherine’s sporty personality was seen many times during their 2 days at Commonwealth games. Keeping her sartorial choices minimum for the first day on July 28 2014 Catherine chose to wear her London Olympics outfits again that consists of Zara navy military-style double-breasted blazer, sleeveless blue and white high collar shirt, L.K. Bennett Frome Suede Clutch Bag, her Cartier watch and Kiki McDonough Citrine Drop Earrings. On the second day Catherine chose Smythe Navy One Button Blazer, blue Stella McCartney Ridley Stretch Dress, Stuart Weitzman Corkswoon Wedges, L.K. Bennett Frome Suede Clutch Bag, her Cartier watch, Asprey charm pendant and Kiki McDonough Citrine Drop Earrings. In August, Catherine headed to Belgium with Prince William to commemorate the First World War where she met King Philippe and Queen Mathilde of Belgium. Another first of her royal journey. Catherine wore Alexander McQueen Cream Coatdress, Jane Taylor Fleur-Ruffle Beret, L.K. Bennett Sledge Pumps, Annoushka pearls with Kiki McDonough hoops and carried grey Alexander McQueen clutch. In September a very unexpected but extremely happy news came out. 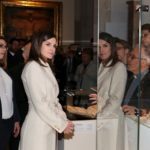 Duchess was supposed to visit Malta on the occasion of its 50th Independence Anniversary. 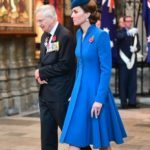 But on September 08 2014, when Catherine was going to visit Oxford and later on join Prince William, Prince Harry and Prince Charles on the opening ceremony of Invictus Games, she had to pull back and Clarence House announced the happy news of Cambridge couple expecting second baby on twitter. Once again the Duke and Duchess had to announce their pregnancy before hand due to Catherine’s health. She was suffering form acute morning sickness so had to cancel Malta visit making Duke taking her place. 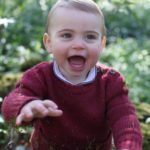 When the Duke was presented with a lace shawl for Prince George in Wellington in April, he told its creator Cynthia Read “You might have to make another one soon”, prompting the suggestion that a little brother or sister for George was on the cards. Catherine returned to official role in October 2014 with her first State Visit role. She joined Her Majesty and royal family to welcome President Tony Tan Keng Yam of Singapore and his wife Mary Chee Bee Kiang for their 4-days state visit. Catherine was wearing Alexander McQueen Gray Coat, a black dress, Jane Taylor hat, Prada Suede Round-Toe Pumps, Annoushka pearls, Mappin and Webb Empress white gold and diamond pendant. In November, Duchess was seen at the Royal Variety Performance in stunning DVF Zarita Gown. She paired the outfit with Jimmy Choo Cosmic pumps, Kiki McDonough Lola blue topaz hoop earrings and black sequined clutch. In December 2014, Catherine make another foreign visit with Prince William. The couple visited the United States and attended a charity dinner at the Metropolitan Museum of Art. 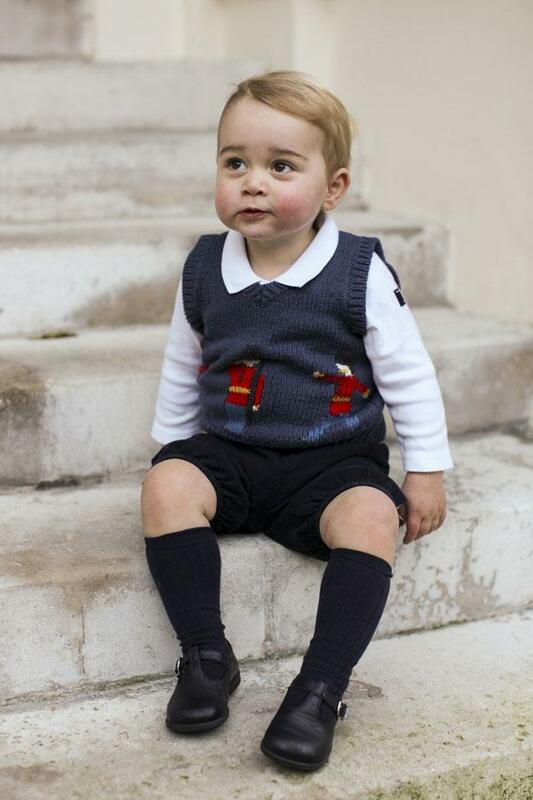 To mark the Christmas, Palace released first solo portrait of Prince George. The pictures were taken by Prince Harry’s private secretary Ed Lane Fox who used to work as Freelance Photographer. The year ended on a happy note with lots of expectations for the new year.